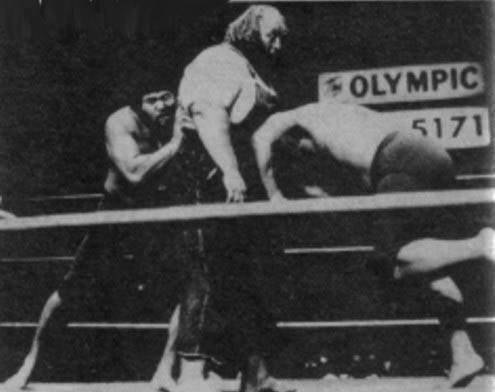 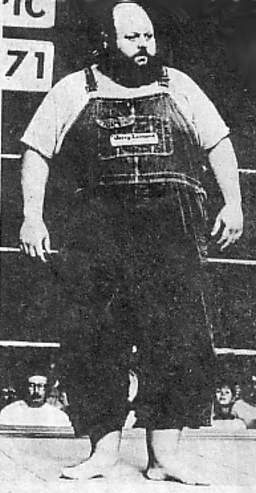 Gary Fletcher was discovered at an all you can eat buffett in California and he began training with Al Lovelock (aka The Great Bolo).. 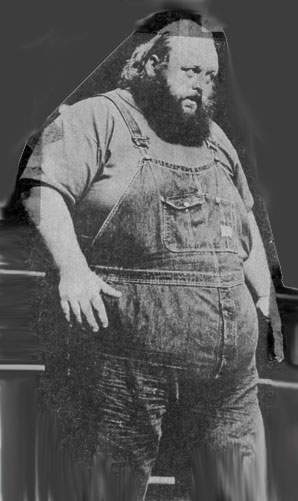 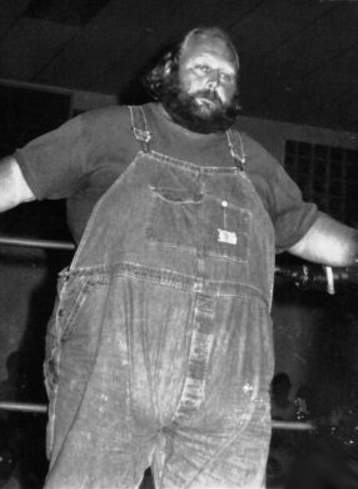 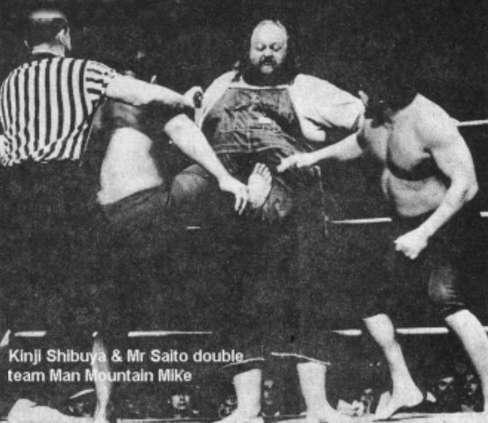 There once was an offer for anyone who could body slam Man Moutain Mike for a reward of $1,000..
Man Mountain Mike formed a tag team with fellow 600+ pounder Haystacks Calhoun on the west coast..
~~~He also ran a Taxi service and drove school bus. 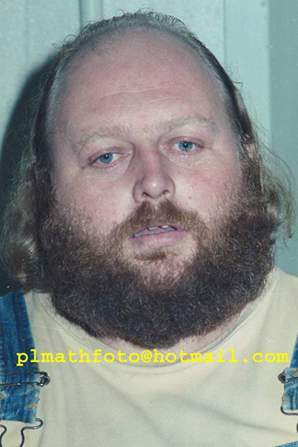 ~~~One day on the bus, because he was such a big man, he had to put the seat all the way back..
~~~He banged the back of his leg on the seat track and cut it open..
~~~He had diabetes and got a strep infection in the cut witch caused blood clots witch killed him..
April 30, 1988: Man Mountain Mike passed away.. 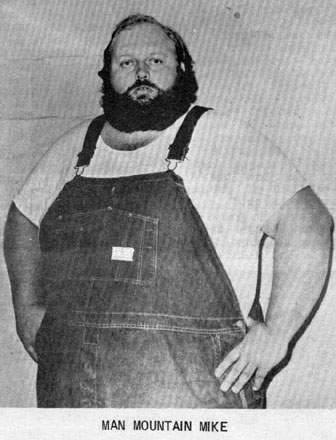 Thank you so much to Man Moutain Mike’s son, Shawn Fletcher, for emailing us and helping with some of the details.